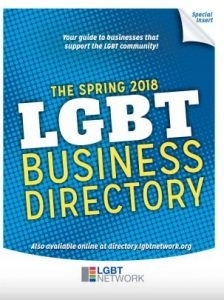 View the Printed Spring 2018 LGBT Business Directory & Job Board! View the print version of the Spring 2018 LGBT Business Directory and Job Board in Living Out! In an effort to make Long Island’s business community more inclusive, the New York LGBT Network announced the creation of a new LGBT business directory web portal.